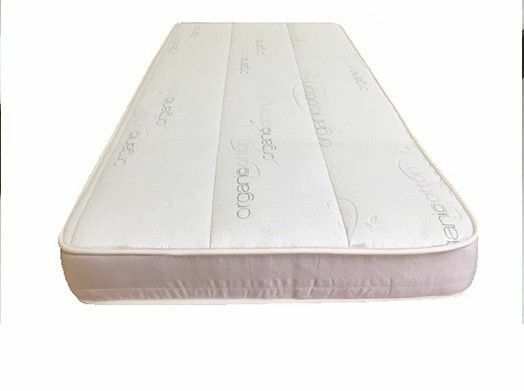 Factory Select Latex Mattress - Our "Factory Select Latex Mattress” is a 7" double sided latex mattress made with a 6" 100% Natural Dunlop Latex core. Our "Factory Select Latex Mattress” is a 7" double sided latex mattress made with a 6" 100% Natural Dunlop Latex core. Our "Factory Select Latex Mattress” is a 7" double sided latex mattress made with a 6" 100% Natural Dunlop Latex core. It is covered in an Organic Cotton cover which is quilted to natural wool. This mattress is considered to be medium firm. GREAT FOR KIDS and young adults. Experience the custom support and comfort of our Natural Comfort line of latex mattresses. Flexus Comfort Mattress Company is a manufacturer of high quality mattresses that sells direct to the public at factory direct prices.